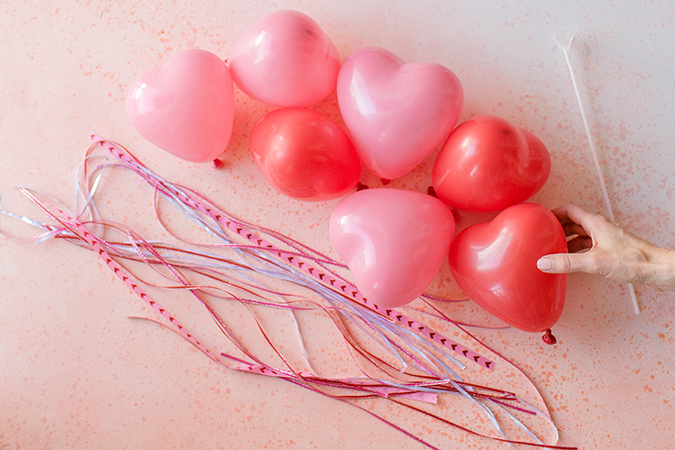 Using your handheld balloon pump, blow up the desired number of heart balloons, tie off and set aside. Cut ribbon into strips about 24 inches long. Attach the plastic balloon cup to the balloon straw. Tie ribbon around the base of the cup, centering the straw in the middle of the ribbon. Finish with washi tape to secure. Pull the end of the balloon through the cup. Wave it around and cast love spells! Download the template, print at 5×7 ratio onto matte white cardstock. 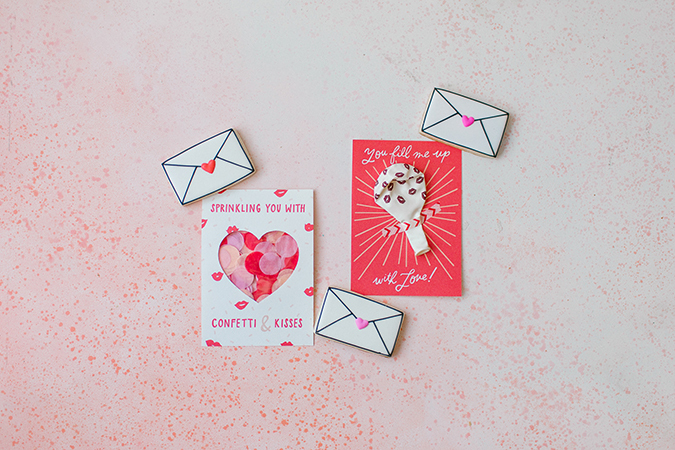 Cut Valentines out to proper size. 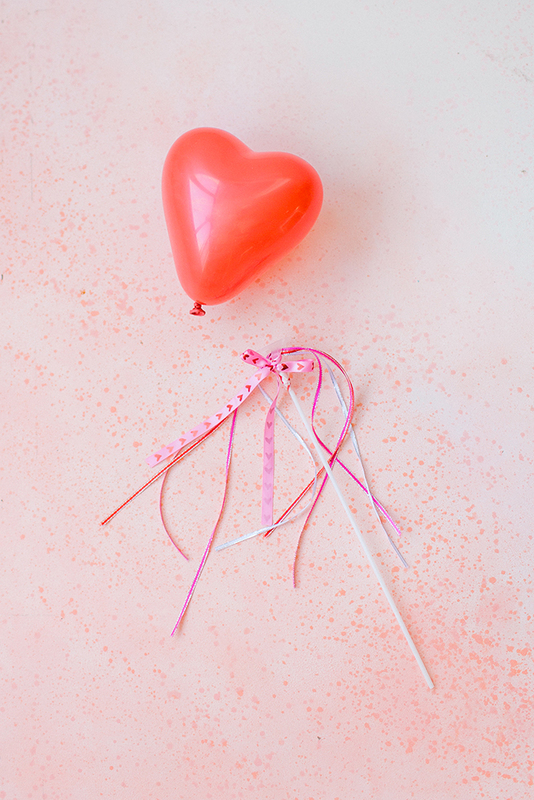 For the balloon Valentine, center the balloon and use washi tape to secure. 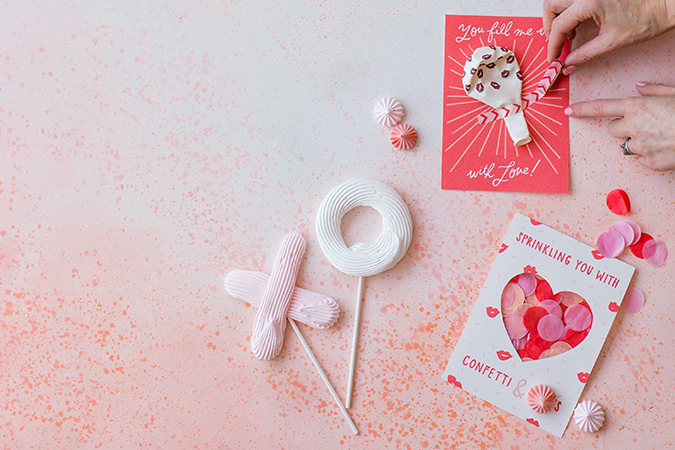 For the confetti Valentine, using scissors or a Cricut cutting machine, carefully cut a heart shape (or circle). Using washi tape, attached the jewelry bag filled with confetti to the backside of the Valentine. 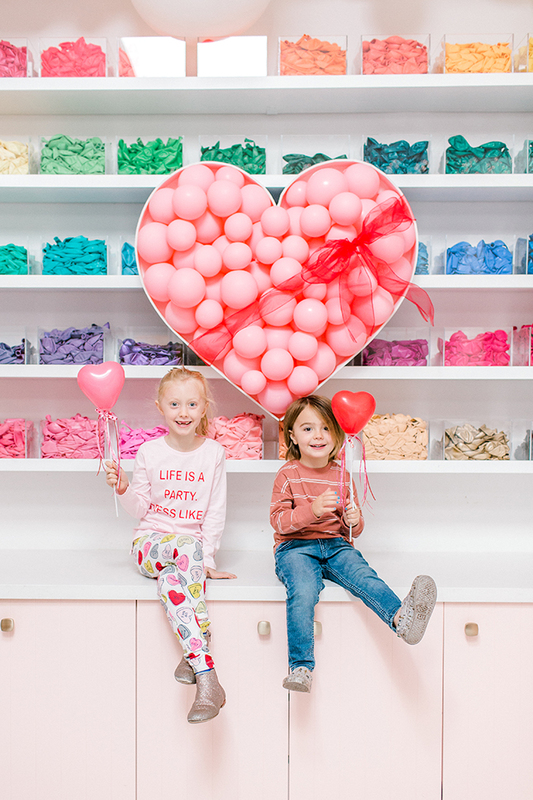 Here’s to a crafty, cozy, and seriously cute Valentine’s Day with your little ones!